Sabots Have a Long History. The Australian sailing community knows that the Sabot class has consistently produced world-class sailors both men and women. If you attend any elite sailing event and ask competitors "what did you sail as a junior" and the answer you'll most likely get is "A Sabot". The incredible number of classes has had an impact on membership numbers. However, the culture and unique brand that makes the Sabot class such a well respected and fondly remembered one is still alive. A small group of dedicated parents from across Australia have volunteered to help organise the 55th National championships which will be held at one of Australia's premier yacht clubs, the Sandringham Yacht Club, Melbourne Victoria. It is hoped that the buzz and intensity that flows from a National Championship will inspire and re-establish the passion for this wonderful class in Victoria, and provide a great experience for the competitors, volunteers and visitors to Victoria. 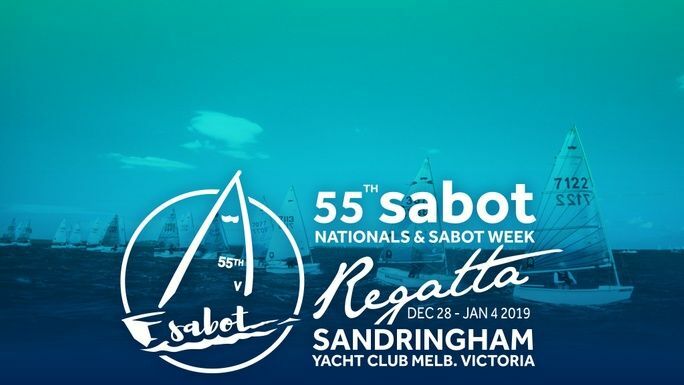 Sabot sailors around Australia need your help to pay for this year's Sabot Nationals to be held at Sandringham Yacht Club in VIC, Help us make it happen and keep the Sabots alive! This fundraiser is part of the "55th Sabot National Championships & Colahan Family Sabot Week 2018/2019" campaign. Together with other fundraisers, they've raised $2,460 so far!